Daryl Johnson (Worcester Park, United Kingdom) on 1 March 2011 in Architecture and Portfolio. Superb backlight composition with a great control of the light! Don't worry all is going well!! I hope you'll get good days in france!! Good pov. 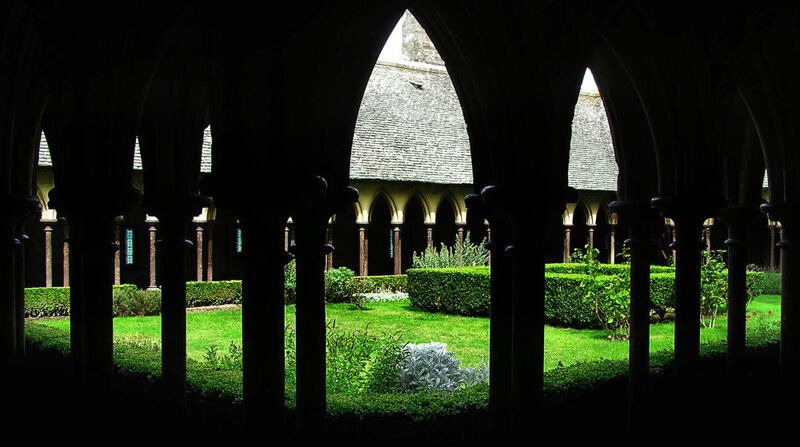 Excellent view of the cloister. A very lovely image, Daryl. Super shot with the silhouette like this . . very effective and so well controlled.